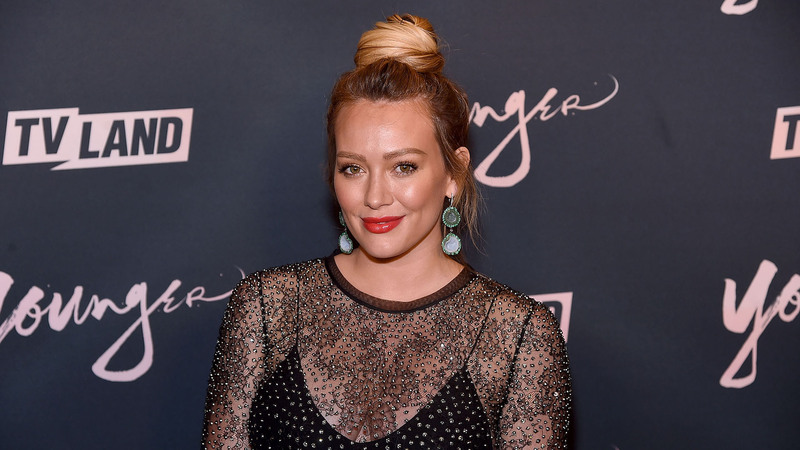 During pregnancy, Hillary Duff shared plenty of struggles from pelvic pain to the constant urge to pee. But her recent admission is the most surprising yet: Duff drank her placenta. Yep. In a smoothie. And she even enjoyed it. In fact, according to People, the Younger star told Dr. Elliot Berlin that it tasted "delightful." More: Hilary Duff Says Her 2nd Pregnancy Is "Hard as Hell"
Duff admitted that she was hesitant to eat her placenta: “I was a little wigged out, to be honest with you,” she said. But she told Berlin that the reported benefits — that it can increase your milk supply, prevent postpartum depression and stop post-birth bleeding — were enough to convince her. However, Duff didn't want to go the "conventional" route and take placenta pills. "I heard something weird about the pills," she told Berlin. "I heard placenta burps are not ideal." So she placed the organ in a blender with juice and berries, and voila! Placenta smoothie. That said, it is important to note that there isn’t any published medical evidence that supports placenta-eating. A 2017 study in the American Journal of Obstetrics & Gynecology actually advised patients to avoid placenta consumption. However, a few celebrities, like Kim and Kourtney Kardashian and Chrissy Teigen, swear by it — which probably contributes to its continued popularity. As for Duff, according to People, she feels great. And at the end of the day, that's all that matters, right?